The substance is not classified as hazardous to health or the environment according to the CLP regulation. The usual precautionary measures for handling chemicals should be followed. Flammability (solid, gas): No data available. Relative density: No data available. Acute toxicity: No effects known. Tungsten Disulfide Micropowder is a crystalline form of tungsten sulfide ideal for use in solutions and semiconductor thin films with appplications in optics, electronics, transitors, and energy storage. American Elements tungsten disulfide micropowders typically have an average particle size of 0.4-1 microns and are generally immediately available in most volumes. American Elements produces to many standard grades when applicable, including Mil Spec (military grade); ACS, Reagent and Technical Grade; Food, Agricultural and Pharmaceutical Grade; Optical Grade, USP and EP/BP (European Pharmacopoeia/British Pharmacopoeia) and follows applicable ASTM testing standards. Typical and custom packaging is available. Additional technical, research and safety (MSDS) information is available as is a Reference Calculator for converting relevant units of measurement. See more Sulfur products. Sulfur (or Sulphur) (atomic symbol: S, atomic number: 16) is a Block P, Group 16, Period 3 element with an atomic radius of 32.066. The number of electrons in each of Sulfur's shells is 2, 8, 6 and its electron configuration is [Ne] 3s2 3p4. In its elemental form, sulfur has a light yellow appearance. 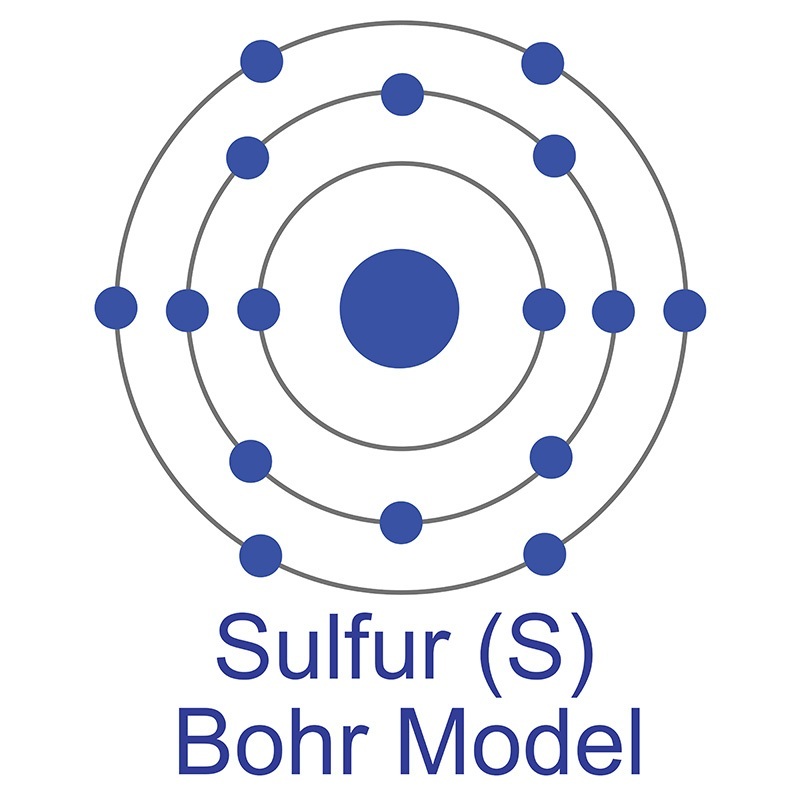 The sulfur atom has a covalent radius of 105 pm and a Van der Waals radius of 180 pm. In nature, sulfur can be found in hot springs, meteorites, volcanoes, and as galena, gypsum, and epsom salts. Sulfur has been known since ancient times but was not accepted as an element until 1777, when Antoine Lavoisier helped to convince the scientific community that it was an element and not a compound. See more Tungsten products. Tungsten (atomic symbol: W, atomic number: 74) is a Block D, Group 6, Period 6 element with an atomic weight of 183.84. The number of electrons in each of tungsten's shells is [2, 8, 18, 32, 12, 2] and its electron configuration is [Xe] 4f14 5d4 6s2. The tungsten atom has a radius of 139 pm and a Van der Waals radius of 210 pm. 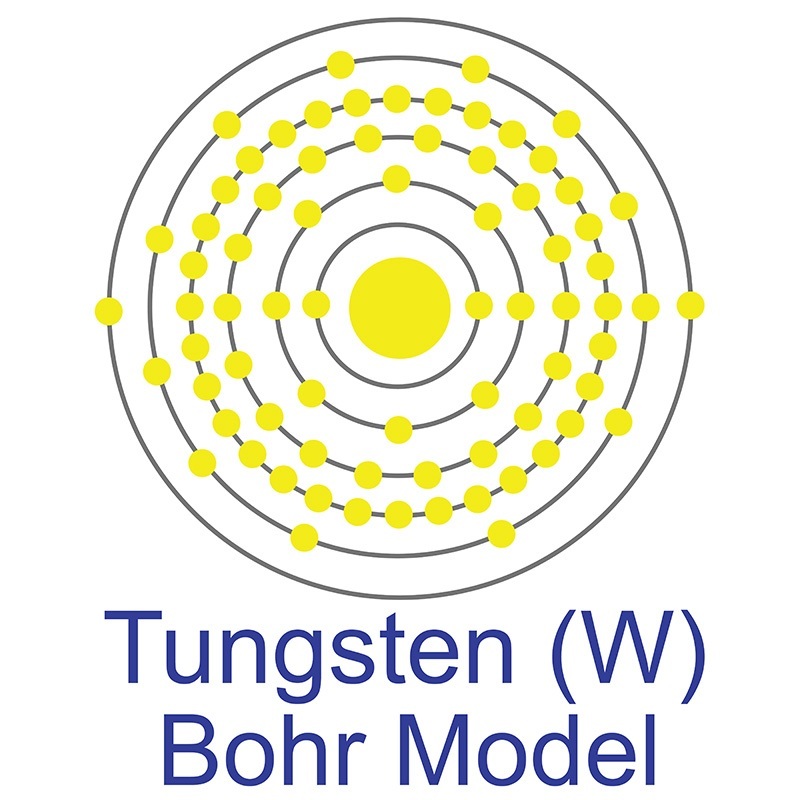 Tungsten was discovered by Torbern Bergman in 1781 and first isolated by Juan José Elhuyar and Fausto Elhuyar in 1783. In its elemental form, tungsten has a grayish white, lustrous appearance. Tungsten has the highest melting point of all the metallic elements and a density comparable to that or uranium or gold and about 1.7 times that of lead. Tungsten alloys are often used to make filaments and targets of x-ray tubes. It is found in the minerals scheelite (CaWO4) and wolframite [(Fe,Mn)WO4]. In reference to its density, Tungsten gets its name from the Swedish words tung and sten, meaning heavy stone. Three-Dimensional Nanoporous Tungsten Disulfide/Acetylene Black Nanoflower Composite as Efficient Electrocatalyst for Enhanced Hydrogen Evolution Reaction. Strong light-matter interaction in tungsten disulfide nanotubes. A Study on the Formation of 2-Dimensional Tungsten Disulfide Thin Films on Sapphire Substrate by Sputtering and High Temperature Rapid Thermal Processing. Synthesis of Large-Area Tungsten Disulfide Films on Pre-Reduced Tungsten Suboxide Substrates. Adsorption energy of oxygen molecules on graphene and two-dimensional tungsten disulfide. Observation of biexcitonic emission at extremely low power density in tungsten disulfide atomic layers grown on hexagonal boron nitride. Noncovalently Functionalized Tungsten Disulfide Nanosheets for Enhanced Mechanical and Thermal Properties of Epoxy Nanocomposites. Tungsten disulphide for ultrashort pulse generation in all-fiber lasers. Graphene-Assisted Antioxidation of Tungsten Disulfide Monolayers: Substrate and Electric-Field Effect. Correlatively Dependent Lattice and Electronic Structural Evolutions in Compressed Monolayer Tungsten Disulfide.